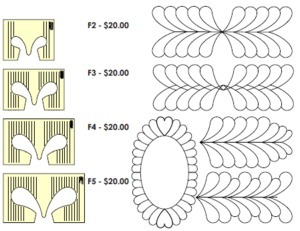 Quilting feathers can be difficult, but with the Feather Templates you can quilt straight feathers -feathers on a wavy spine - feathered plumes. Our feather Templates are sold separately or in a set of 4. Choose your size (2", 3", 4", 5").